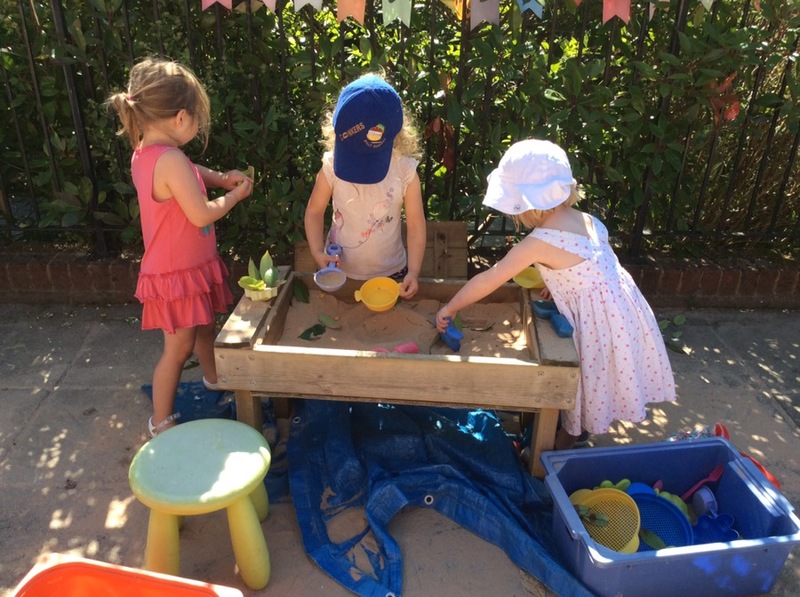 So far this week we’ve been enjoying the lovely weather and making the most of the time outside. 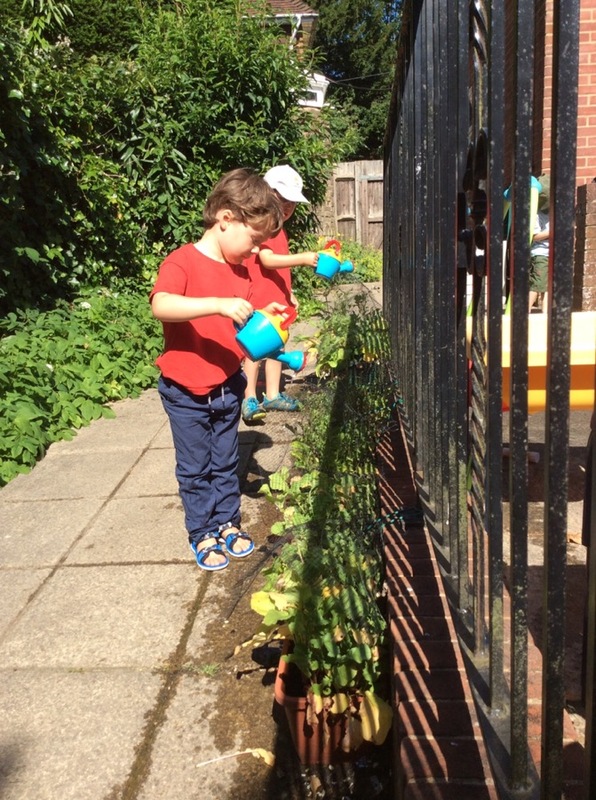 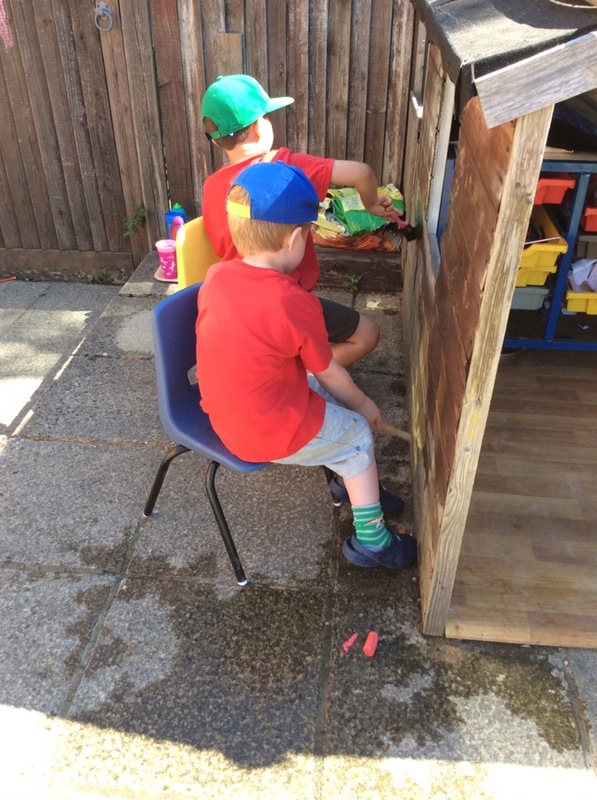 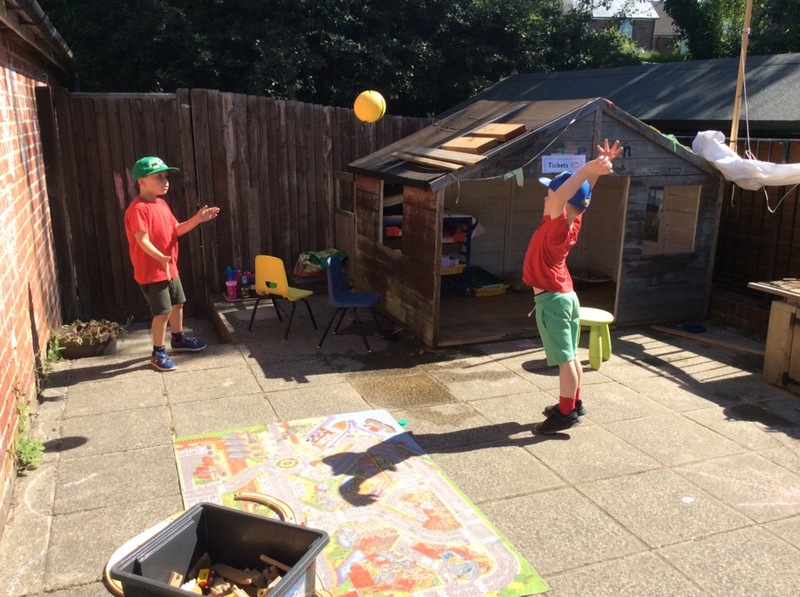 We’ve been caring for our plants outside, painting the shed with water and practicing our catching, throwing and kicking. 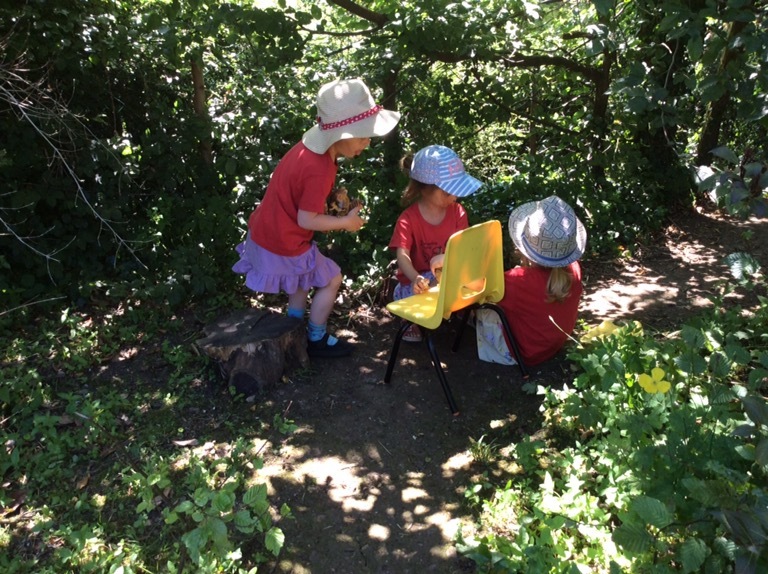 On Monday we set up a train station in the garden and all had a great time pretending to travel around on a train.